The best thing about editing photos you took while on location is re living the moments around them. I couldn’t believe this one…so strange…stairs among all the graffiti and one lone glass beer mug sitting on a stair step…hadn’t been broken or anything. 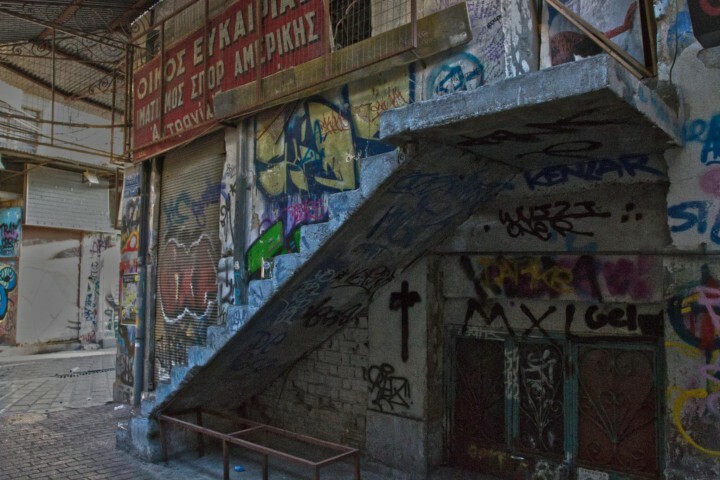 Ahhh….Athens…the heat and sweat, I’d give anything to be trouncing around on your streets again right now….